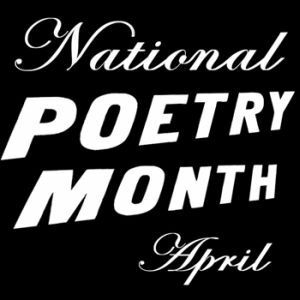 As you may know, April is National Poetry Month in the United States. Several Xangans to whom I subscribe frequently write poetry. Generally speaking, I greatly enjoy their poems. But I must confess that at a certain level I am deeply intimidated by poetry. The same is true for opera and ballet, but I won’t address those anxieties in this entry. Like opera and ballet, I realize that poetry is supposed to be a beautiful art form. And many, many times I can experience a poem and recognize that it is indeed something very beautiful. But then I get a bit frustrated that I don’t understand it. Or, at least, I don’t understand what I’m supposed to understand. Or, maybe, I have this understanding that I’m supposed to understand the poem’s meaning. This isn’t to say that I’m completely unappreciative of poetry. Indeed, there are several poets whose work I greatly enjoy. 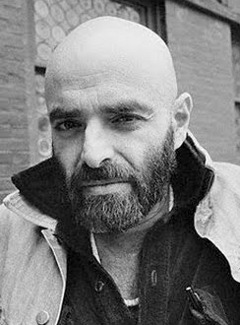 As a child, I read the books by Shel Silverstein such as The Giving Tree, A Light in the Attic, and Where the Sidewalk Ends. Who could not be moved by playfully subversive verse like “How Not to Have to Dry the Dishes”? As a teenager, I discovered T.S. Eliot by way of Andrew Lloyd Webber‘s musical Cats. 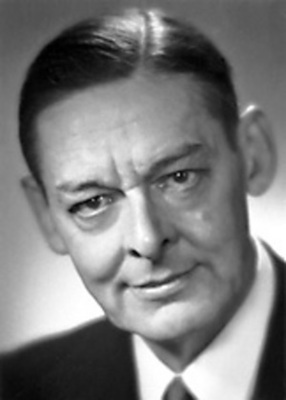 Eliot was a Nobel prize winning poet but it was his book of light verse titled Old Possum’s Book of Practical Cats (which Lloyd Webber turned into the musical). I found these poems to be very accessible, if for no other reason than that I knew the music with which they went, so I could hear the lyrical nature of the poems when reading them. Saying `Skimble where is Skimble has he gone to hunt the thimble? Of course, who was I to know that this opening verse was in fact a parody of a Rudyard Kipling poem? That level of comprehension would have been much beyond me. 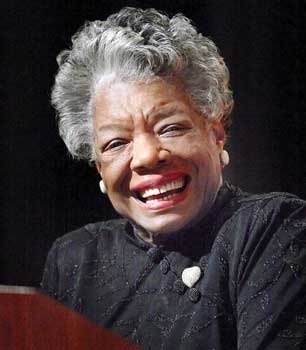 In university, I discovered (and had the chance to meet) Dr. Maya Angelou. Her books first attracted me, as the theme of exploring identity which runs through them resonated with my own journey at that time in my life. I did not read her poetry extensively, but when I attended a talk she gave at my school and heard her give voice to her poems, they came to life for me. It was her poem, “On the Pulse of Morning“, which she read at the 1993 inauguration of President Clinton, that seemed to speak widely to Americans, myself included. So you see, it wasn’t as if I had no exposure to poetry. But somehow I still feel intimidated by it. Despite the best efforts of Bob Dickerson, my junior college English professor and the first person (by virtue of his Tennessee accent) whom I ever heard pronounce poem as “po-em” instead of “pome”, I look at a lot of poetry and just don’t know what I’m supposed to make of it. [Collins] thinks former students have “lingering anxieties” about poetry. Teaching of poetry, bound as it is to the teaching of critical analysis, is the culprit. In what he admits is a cynical interpretation, he believes that to some extent, teachers “teach difficult poetry because it ensures their usefulness as people standing between the reader and the poem” who help with interpretation. In the classroom, “every time you hear a poem in a classroom, you know questions will follow,” he says. “This sequence — hear a poem, then get interrogated over it,” says Collins, can create an anxious relationship between readers and poetry. There it was. Suddenly my anxiety about poetry had found a voice. Someone had put into words the reason that I felt inadequate when reading poems. Every time I read a poem, I feel like I have to understand it well enough to answer questions about it. Now that I’ve found a poet – a Poet Laureate, nonetheless! – who has put into words exactly the trepidation about poetry I feel, it is as if I have had a catharsis. The boil has been lanced, and I can face poetry with a fresh start and now expectations. I am just at the very beginning of my journey to learn to appreciate poetry, but I realize now that poetry is something I can learn to enjoy without having to worry about understanding it. This entry was posted in Uncategorized and tagged Angelou, art, Billy, Collins, Eliot, Literature, Maya, Month, National, NPM, NPM11, Poem, Poetry, Shel, Silverstein, Writing by christao408. Bookmark the permalink. That is quite a list of poem you read in school. Poetry has always been one of my addictions. I love it in all its forms. Love Milton and Dante and of course Shakespeare. Enjoy! That’s a lesson on poets and poetry! I hope someday there would be a more authentic English translation book of Chinese poetries. You may not remember a conversation we had once when taking in an exhibit at the SF Museum of Modern Art: “It seems to me if you have to explain what the painting means, then the purpose of the work is lost.” I think understanding poetry is similar. I remember those classes of trying to “understand” what the poet was saying rather than enjoying the words and their relationship. Poetry, to be appreciated, should be read aloud, I think. That way the words move as they are meant to move. That is exactly why I have no love or appreciation of Emily Dickinson’s poems. My English teacher not only tortured the poems but each of us in turn. I’m glad you have started on your poetry roadtrip. My poems are only as deep as the reader makes them…. (most are only puddles to splash in). hehe! That’s a wonderful entry and you captured my limitations about poetry. I have to add you did it with a lot more eloquence and in a more scholarly manner than I could. My exposure to poetry is limited to what I remember in high school. I didn’t take any English Lit classes in university which I now regret. I love that Billy Collins poem!There’s a Xangan by the name of ChrisWho lives in the City of Angels.His life is full of happiness and blissthanks to his love of food and travels.He’s a wise manfrom fine midwestern stockwho landed in Bangkokand married another fine man.That fine man is Tawnwho wakes up at the crack of dawn.Yoga, mediation, fine coffee and home made breadall fuel Chris and Tawn for the long day ahead.Chris’s blog cover fine food to planes,a touch of politics & even an entry about bare breasts!We hope he’ll never resthis blog is anything but plain. @ElusiveWords – I’m honored by your poem, Matt. Rest assured, though, that Tawn does NOT wake up at the crack of dawn. LOL I’m not sure I’m from fine midwestern stock, either, but that’s neither here nor there. @murisopsis – Splashing in puddles keeps one’s childlike view of the world going strong. @jandsschultz – Did I say that or did you? @Fatcat723 – Not sure that three or four poems makes for quite a list, but I’m glad you approve. =D@CurryPuffy – That’s the sad thing about translation, it never quite captures the meaning of the original. Bravo Chris! This is such a revelation of your feelings regarding the poetry of not just xangans, but also of masters of Poetry. Loved reading this. And Matt’s poem…. takes the cake. @DrTiff – Thank you.Glad you enjoyed this post, Dr. Z. You and Val have exposed me to so much beautiful, creative poetry over the past few years and I realize that I need to find a way to better appreciate it and not feel like there’s something I have to “get”. As for Matt’s poetry, he not only took the cake but ate it, too. Muah! Thank you for this post. I am behind in reading my subs due to my week off from xanga (aka vacation last week). 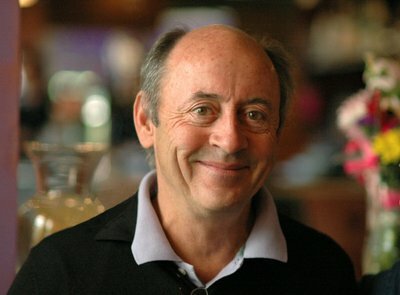 Billy Collins is my hero and he does make poetry accessible to people like me. I don’t feel so lost after reading his poems. Introduction of poetry is one of my fav of his too. @ElusiveWords – Only in his dreams. LOL@awoolham – Welcome back from vacation! I only recently found out about Billy Collins and am glad I did.